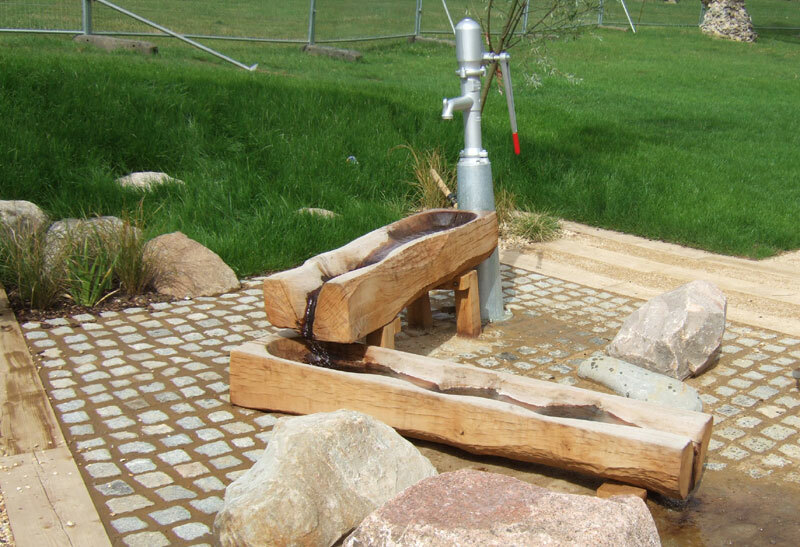 This large project completed in 2011 was designed in conjunction with landscape architects Topio and Playlink. It involved a total update to the large play area in the historic Abbey Gardens in Bury St. Edmunds. 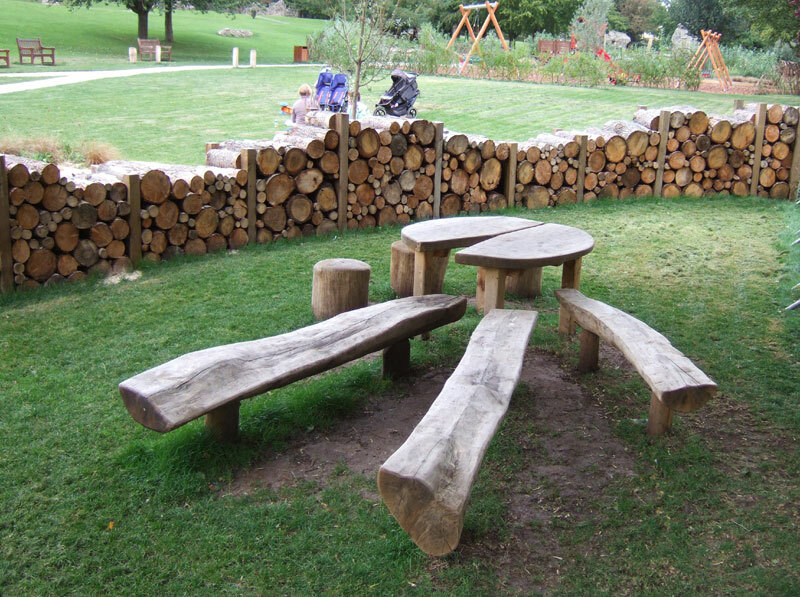 The brief was for all the furniture and structures to be fully "playable" - these picnic tables can not only be used for eating at, but also for playing games on and around. 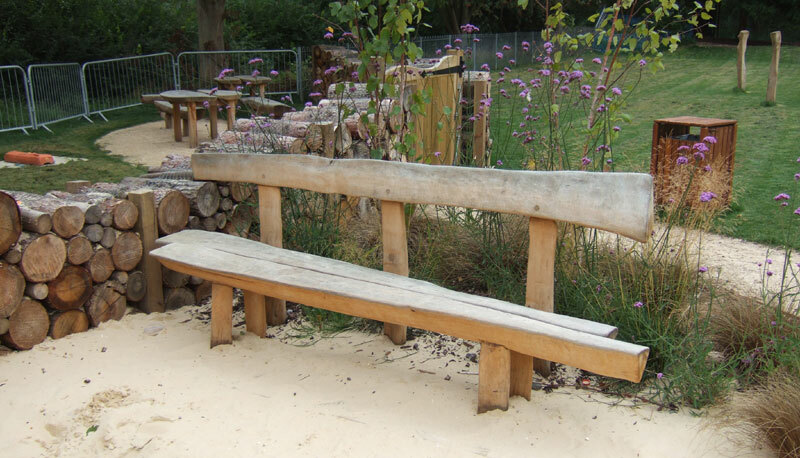 The benches are split from oak logs. We made two large and heavy oak troughs for the water play area. These have been carved out of solid pieces of oak. 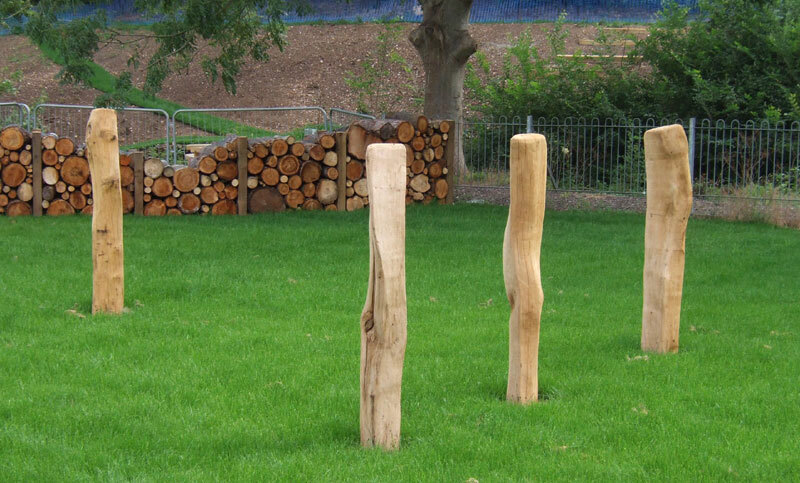 Throughout the play are there are various marker posts made from split oak that has been carefully smoothed. These posts line up with some of the historic ruins of the old abbey within the park.